Pneumonia is swelling (inflammation) of the tissue in one or both lungs usually caused by viruses, fungi, bacteria, or chemical irritants. It is a serious condition in which the tiny air sacs became inflamed and fill up with fluid and other liquid. Pneumonia can cause difficulty in breathing, fever, chest pain, and a terrible cough. It can be very dangerous for people who have weak immune systems, infants and young children and people older than 65 years. This is the most common type of pneumonia. This type, also known as institution-acquired pneumonia, you can catch while staying in the hospital, particularly if you are using a ventilator to help you breathe or you are staying in an intensive care unit (ICU). It can also develop after having a major surgery (chest surgery) or while staying or receiving treatment in chronic care and dialysis centers. This type of pneumonia can be extremely dangerous for people with weak immune systems, young children, and older adults. This type of pneumonia usually develops after inhaling particles into the lungs, after vomiting, when those small particles enter your lungs, and you are not strong enough in order to cough the particles out of the lungs. Usually, people with weakened immune systems are affected by this type of pneumonia. It can be caused by organisms that are not typically harmful to people, but can be dangerous in the case of HIV-human immunodeficiency virus, AIDS-acquired immunodeficiency syndrome, COPD-chronic obstructive pulmonary or in the case of recent organ transplant. Just chew a few holy basil leaves and swallow them. This will relieve your cough and flu. Ginger can be significantly helpful for treating respiratory diseases. The homemade ginger can improve your cough and lung irritation as well as flu. Garlic is effective in fighting bacteria due to its antibiotic properties. Moreover, it is great for your immune system. If you can’t consume raw garlic, you can try roasted. Also, there is an alternative to smear some garlic paste onto your chest. Turmeric can act as a mucolytic to remove mucus out of your body, especially from your respiratory system. Furthermore, it possesses antibacterial and antiviral properties, and it is extremely beneficial in the case of infection. Boil some water with fenugreek and strain it into a cup. Add a few drops of lemon juice and that is it, your tea is ready! Fenugreek tea will clear up all the fluid in your lungs and relieve your cough. This oil has potent antifungal, antibacterial, and anti-germ properties, and it is an extremely effective remedy in the case of pneumonia. It will minimize mucus and dispel congestion. Whenever you feel stuffed, pour some oil into a clean cloth and breathe in. You should mix 200ml of spinach juice with 300ml of carrot juice, and consume a glass of this drink at least two times a day. Your pneumonia will be relieved in a few days. Steam is very effective in the treatment of infection and enhancing breathing. 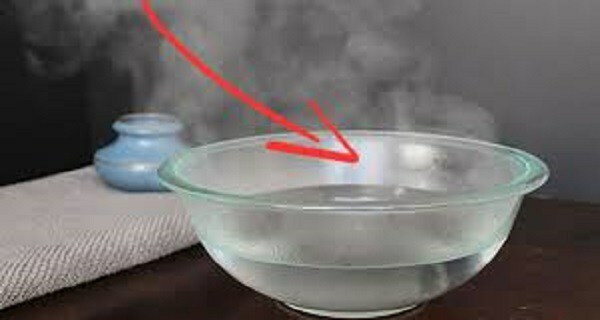 Just add some essential oil by your choice (lavender, camphor, tea tree, lemon, eucalyptus) into boiled water and breathe in the heat from this mixture. Make sure to wear a towel so the steam is not out of your body. Note: Make sure to drink plenty of water or organic juice on a daily basis. In order to get the best benefits, always use organic foods!